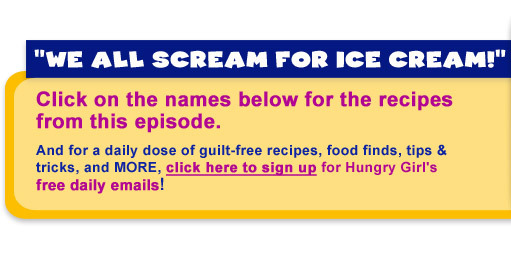 home > episodes > We All Scream for Ice Cream! Hungry for More? Click here for our 2011 Fro Yo Survival Guide, and click here for Q&A on the ice cream aisle!